One of the most baffling E3 no-shows will finally see the light of day again next week at the Tokyo Game Show. There were a few games that people were really hoping to see back at E3 this past June that, for whatever reason, simply didn't make the cut: games like Square-Enix's Final Fantasy Versus XIII, BioWare's Mass Effect 3, and Sony's The Last Guardian, to name a few. Apparently, we'll be getting information on at least one of those games next week: Sony confirmed to Videogamer that The Last Guardian - and creator Fumito Ueda - would be showing up at the Tokyo Game Show. 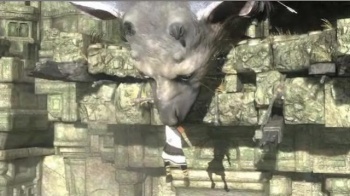 The Last Guardian's last appearance was a year ago at TGS 2009, so hopefully we're due for another trailer starring the boy and his big gryphon-monster-cat-dog-thing. Even though we all know how it's going to end, I'm still really psyched for a third game from the creators of Ico and Shadow of the Colossus, and I know I'm not alone. Maybe we'll even get a release date. Okay, I won't be holding my breath for that.